Prior to the ratification by the states of The Constitution, there was concern among many of the delegates of the colonies that a new federal government might exercise powers beyond those limited ones enumerated in The Constitution. It was suggested that, The Constitution include a bill of inviolable rights. 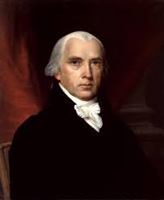 Some including the primary author James Madison, opposed such on two arguments. 1) Those limitations were implicit in The Constitution’s enumeration of limited powers. And 2) a listing of rights could be taken to imply a limitation of constitutional rights and that others might be violated. What was ultimately signed by enough delegates to send it to the states, was a Constitution with ten amendments of very specific assertions of essential rights of the sort that the federal government would be unable to transgress, which was crowned by The 9th Amendment, which said the list did not imply a limitation of rights, and The Tenth Amendment which said powers not enumerated in The Constitution for the federal government were reserved to the states and the people. That is The Bill Of Rights. One can imagine they had thought they had a pretty tightly confined federal government. All that was needed was to distract and dull American sensibilities with mass-media and mass “education” such as those founders could never have imagined. And after the people have stopped defending their rights, all that is left is to snort at and ridicule the mention of The Tenth Amendment as though it were an archaic provision that hadn’t even merited enough attention to be removed, sort of like a passive mole that is rarely seen and never considered. And it seems when some do consider its merits, they hope and dream that it might one day come back. But it will never COME back. Those who so freely wield such power are not about to stop one day and say, “You know what, I believe this was yours. So sorry. Here you go...” No, as the founders did, liberty is not just asserted but has to be asserted. Texas and other states should nullify, simply refuse to comply with this unconstitutional assertion of power. Never mind that it’s atrociously impracticable in addition to unconstitutional. Conservative radio talk show host Mark Levin was an honors graduate in Political Science at Temple University, where he later earned a law degree. He served in the Reagan administration, ultimately as Chief of Staff to Attorney General Ed Meese. He has written several books, most recently “The Liberty Amendments” which proposes a Convention of The States to propose constitutional amendments and suggests some. I would love to see such plans succeed, but Levin opposes the idea of nullification, though Thomas Jefferson and James Madison in places had commended it. Levin says it is not mentioned in The Constitution. But I don’t understand his position. I don’t think the states and the people are obligated to abide federal trampling of their constitutional prerogatives, short of ratification of restraining amendments by ¾ of the states. What if as Madison had proposed, The Bill of Rights had been left as implicit in The Constitution and not specified? Freedom of speech, religion, right to bear arms, and the rest of those guarantees? What if they had been suppressed? Not in The Constitution! Likewise implied in The Constitution and explicit in The Tenth Amendment, is the right of the states and the people to be free of unconstitutional impositions by the federal government. Levin seems to say that we are bound to submit to these abuses, most or all of which he would agree are unconstitutional. Why wouldn’t that be true of those rights specified in The Bill Of Rights, if they had not been? And please don’t tell me that a Supreme Court oligarchy can define rights in and out of existence; actually by one vote in the case of Obamacare, which had been pass…err technically finagled, completely by one party! Don’t you feel a little like a dog begging for food from a mocking master? I do. If states will not assert their proper constitutional prerogatives, we are left only to beg futilely and pray for their respect. The founders prayed for the respect of their Creator-endowed rights, while they pledged their lives, their fortunes and their sacred on honor acting in their defense. Given my conviction at this particularly low point of America’s health and respect of The Constitution, it is difficult this year to choose among candidates in Texas’ Republican primary. Click here to view my endorsements.